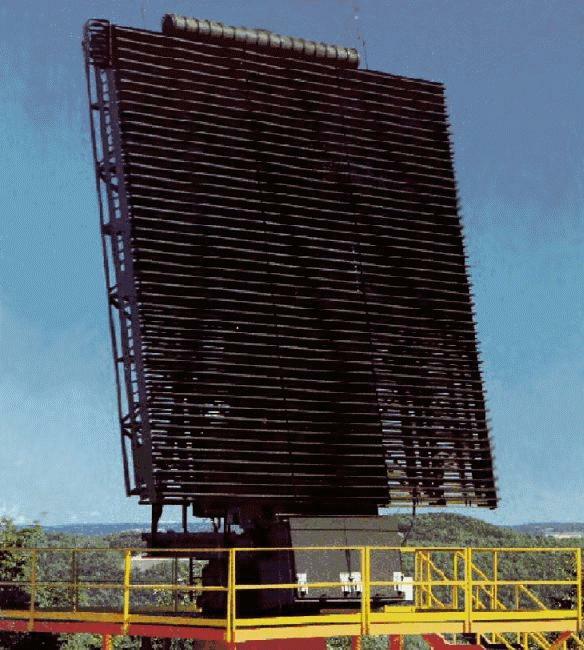 This 3-D long range radar was built by GE Aerospace for use in the North Warning System as well as some of the original Pinetree Line sites that remained in operation (as part of the North Warning System) – after the demise of the Pinetree Line. 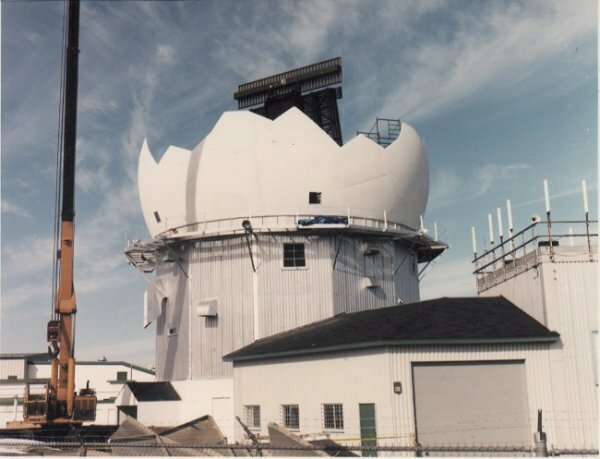 Coastal Radar Station AN/FPS-117 being installed at Gander, Newfoundland - 1993. 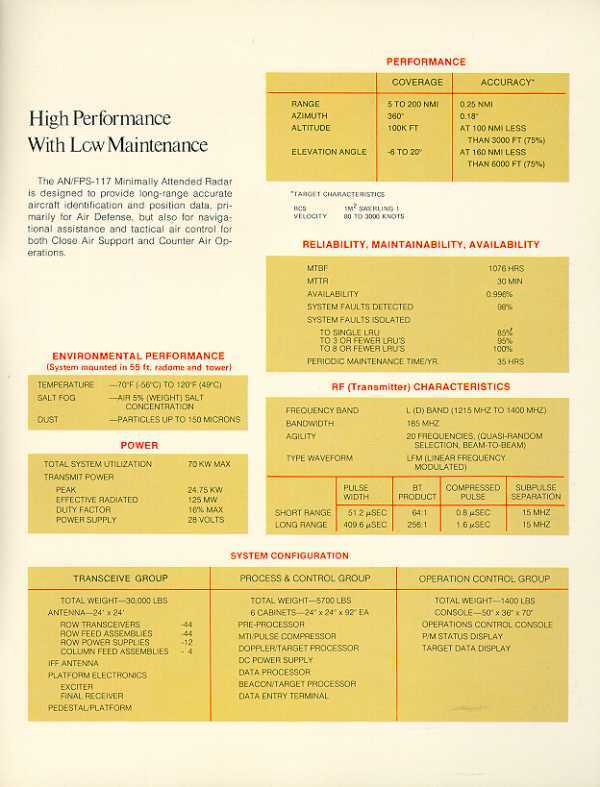 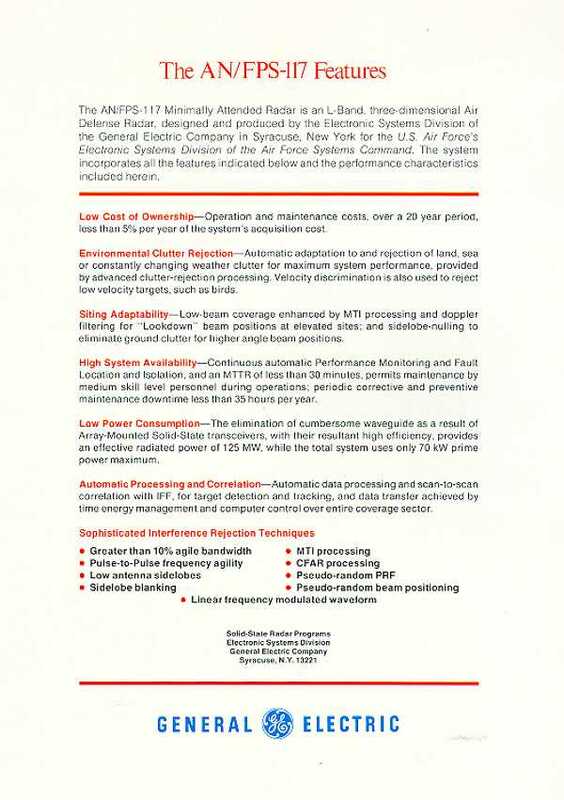 Coastal Radar Station General Electric AN/FPS-117 radar specifications - 1990. 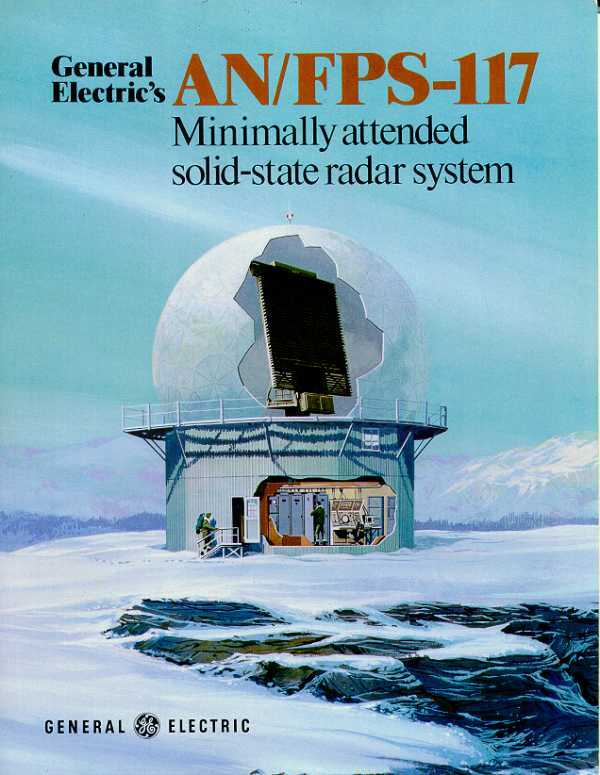 Coastal Radar Station General Elelctric AN/FPS-117 radar specifications - 1990. 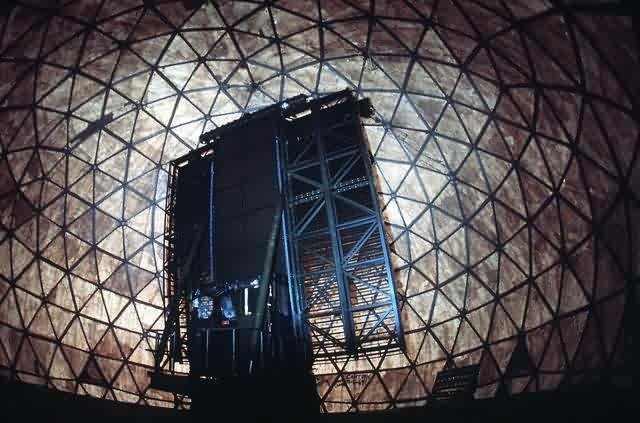 AN/FPS-117 search radar antenna within a radome. 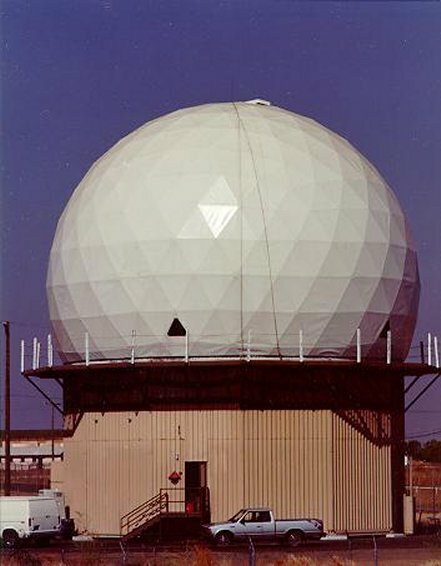 Search radar tower and radome covering the AN/FPS-117 search radar antenna. 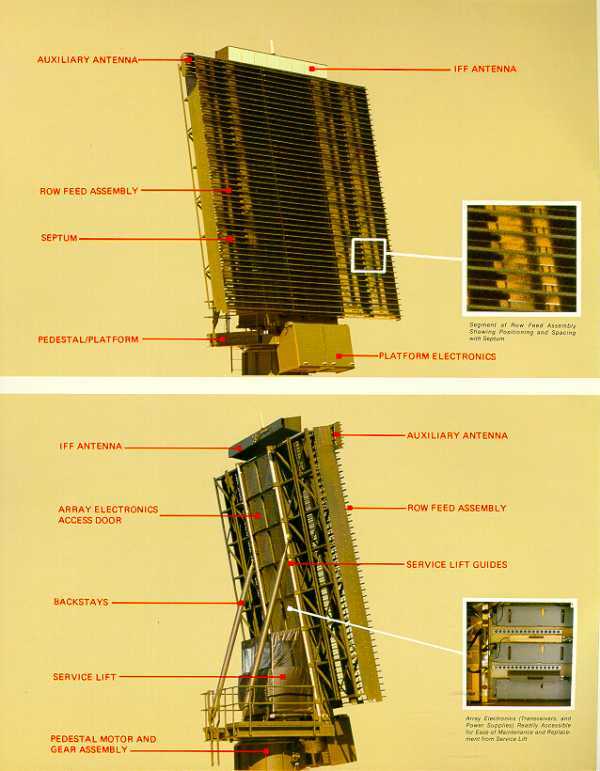 AN/FPS-117 search radar antenna without a radome.